Zbigniew S. "Pooh" Mlodecki, 90, of Newington, died peacefully on Tuesday, July 31, 2018, in the comfort of his home, with his loving wife Frances by his side. He was the beloved husband and best friend for 44 years of Frances (Pastuszak) Mlodecki. Born on Jan. 23, 1928, in Kelce, Poland, he was the son of the late Wladyslawa Mlodecki and Stefan Janusz. 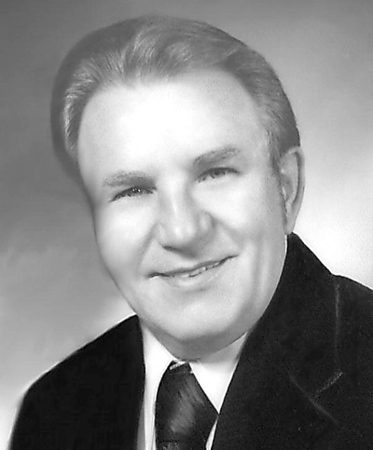 Zbigniew had been employed by Marlin Rockwell, Plainville, for many years, and retired from SKF. He fought in the Polish underground and was awarded medals for fighting for independence for Poland. In November of 2000, Zbigniew was awarded the rank of 2nd Lieutenant in the Polish Army through the Polish Consulate in New York. He was a member of Holy Cross Church, New Britain, the Newington Seniors, UAW 197 and the Haller Post. He loved to travel and did so extensively. Along with his wife, he leaves several nieces and nephews, who called him "Mr. Steve". He also leaves brothers-in-law, Walter and Stanley, and sisters-in-law, Debra and Sandy. Zbigniew was a true gentleman. He never had an unkind word and was always optimistic, taking every challenge in stride. He was a quiet man, with a pleasant sense of humor. He and Fran were grateful for the love they shared and he always found the opportunity to thank her for the life they lived. Relatives and friends are invited to call on Friday, Aug. 3 from 4 to 7 p.m. at Duksa Family Funeral Homes at Newington Memorial Funeral Home, 20 Bonair Ave., Newington. A Mass of Christian Burial will be celebrated privately in Holy Cross Church, and he will be laid to rest privately in Sacred Heart Cemetery, New Britain. Memorial donations may be made to the Franciscan Friars of the Atonement, Attn: Fr. Emil Tomaskovic, P. O. Box 301, Garrison, NY 10524-0301. To share a memory with Zbigniew's wife Fran, please visit us at www.duksa.net . Posted in New Britain Herald, on Wednesday, 1 August 2018 19:59. Updated: Wednesday, 1 August 2018 20:02.